The dynamic yet delicate curves of the iconic Cascade Collection makes for a dazzling statement collection. This large pendant is micro claw set with a ribbon 8 hearts and 8 arrows cubic zirconia and comes available in rhodium vermeil, black rhodium vermeil and 18ct rose gold vermeil. Magnolia hook earrings with two 9mm x 5.5mm cat’s eye stones and cubic zirconia, set in white rhodium plate on sterling silver. 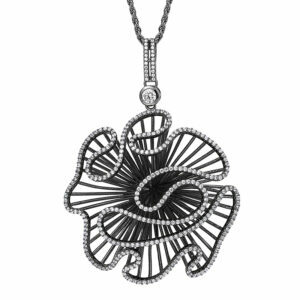 Cascade petite pendant with white cubic zirconia, set white rhodium plate on sterling silver. 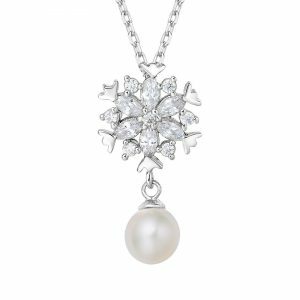 The Kaleidoscopic Snowflake pearl drop pendant with cubic zirconia and freshwater pearls, set in white rhodium vermeil on sterling silver. 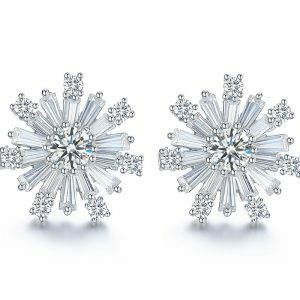 The Majestic Snowflake earrings with cubic zirconia set in white rhodium vermeil on sterling silver. 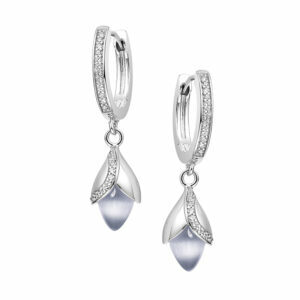 Cascade petite earrings with white cubic zirconia, set white rhodium plate on sterling silver. 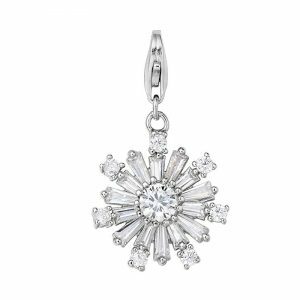 The Majestic Snowflake charm with cubic zirconia set in white rhodium vermeil on sterling silver. The warm and cool tones of the Shooting Star Collection is depicted by the metal and stones. 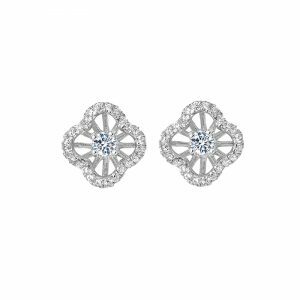 The vein of 8 hearts and 8 arrows cubic zirconia leading towards the luminous pear-shaped stone denotes the movement of the glowing, burning rock as it trails through the night sky. 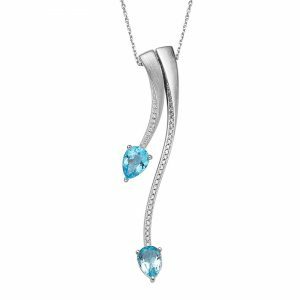 This sleek two tone pendant is half set in white rhodium plated with blue topaz and 18ct yellow gold plated with citrine. The dynamic yet delicate curves of the iconic Cascade Collection makes for a dazzling statement collection. This large ring is micro claw set with a ribbon 8 hearts and 8 arrows cubic zirconia and comes available in rhodium plated, black rhodium plated and 18ct rose gold plated. 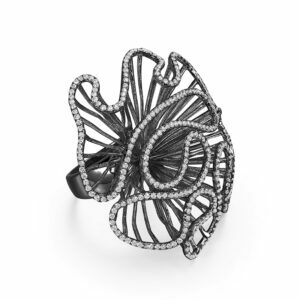 This Pirouette Collection emanates femininity and elegance. 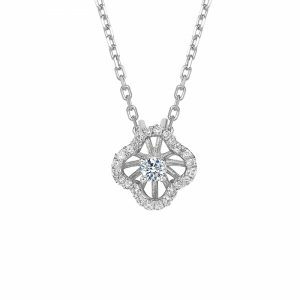 The delicate spiral pendant has a subtle sparkle with the woven ribbons of 8 hearts and 8 arrows cubic zirconia and lustrous pearls, highlighting Fei Liu’s exceptional attention to detail. 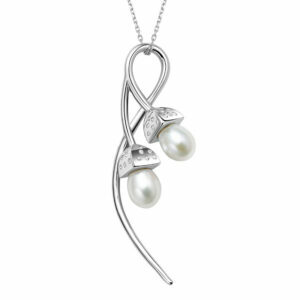 Pirouette spiral pendant with white cubic zirconia and freshwater pearl, set in white rhodium plate on sterling silver. 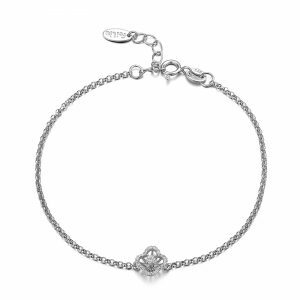 Cascade bracelet with white cubic zirconia, set in white rhodium plate on sterling silver. 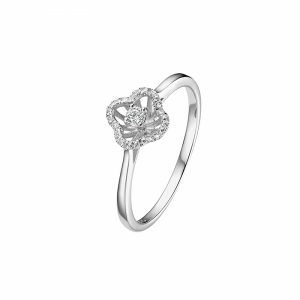 Cascade petite ring with white cubic zirconia, set white rhodium plate on sterling silver. Magnolia small pendant with a 9mm x 5.5mm cat’s eye stone and cubic zirconia, set in white rhodium plate on sterling silver. 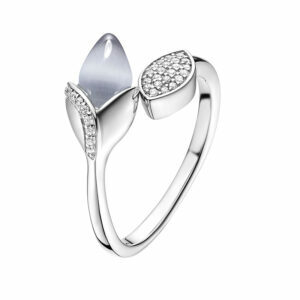 Magnolia ring with leaf, set with a 9mm x 5.5mm cat’s eye stone and cubic zirconia. Plated in white rhodium on sterling silver. 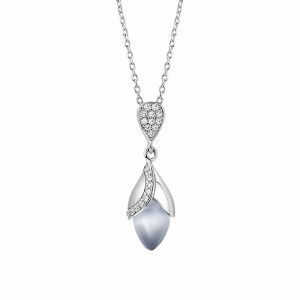 The graceful and feminine Snowdrop double pendant is the perfect contemporary jewel for the modern woman. Effortlessly wearable and refined, with the soft pearls and with or without the glistening 8 hearts and 8 arrows cubic zirconia, set in white rhodium plated or 18ct rose gold plated. 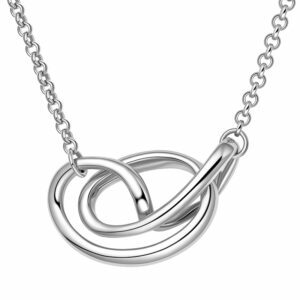 The everlasting love of the infinity knot is embodied within the feminine curves. The Serenity pendant perfectly encapsulated the wispy forms in white rhodium plate, 18ct rose gold plate and 18ct yellow plate. 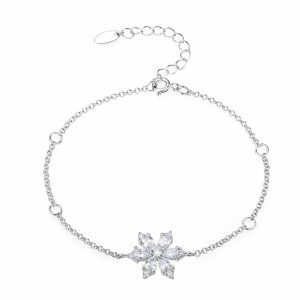 The Floral Star Snowflake bracelet with cubic zirconia set in white rhodium vermeil on sterling silver. The Festive Star Snowflake bracelet with cubic zirconia set in white rhodium vermeil on sterling silver.